Difference between revisions of "Great Railroad Strike of 1877"
| caption =Photograph of a portrait of Thomas L. Young (1832-1888) of Cincinnati, Ohio. He served as governor of Ohio from 1877-1878. In July 1877, a national railroad strike spread to the state of Ohio. Young addressed the strike in Ohio by using the state militia. After a few weeks, the strike was settled, and the militia troops returned home. Young restored order in Ohio, but he was unable to address many of the issues that had caused the strike. After leaving the governorship, Young was elected to the United States House of Representatives for two terms and served from 1879 to 1883. 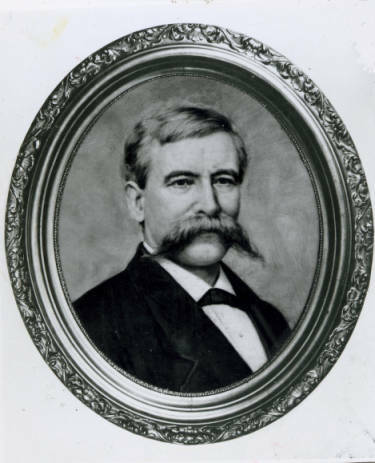 | caption =Photograph of a portrait of Thomas L. Young (1832-1888). He served as governor of Ohio from 1877-1878. In July 1877, a national railroad strike spread to the state of Ohio. Young addressed the strike in Ohio by using the state militia. Young restored order in Ohio, but he was unable to address many of the issues that had caused the strike. After leaving the governorship, Young was elected to the United States House of Representatives for two terms and served from 1879 to 1883.